Federal Sport and Disabilities Minister Kent Hehr has resigned from cabinet pending an investigation into allegations of sexual harassment. Prime Minister Justin Trudeau issued a statement from Davos, Switzerland, saying he had accepted Hehr's resignation, calling it a "leave of absence." "Harassment of any kind is unacceptable and Canadians have a right to live and work in environments free from harassment," he said. "As a government, we take any allegations of misconduct extremely seriously, and we believe that it is important to support women who come forward with allegations and that is exactly what our government will do." The resignation comes after posts to Twitter alleging inappropriate behaviour. A woman said Hehr made women feel "unsafe" and made verbally suggestive remarks, including "you're yummy." 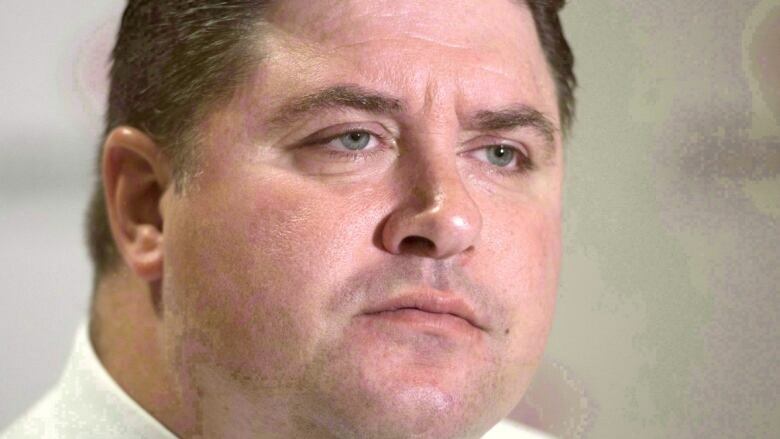 The tweets said women felt fearful about getting in the same elevator with Hehr at the Alberta Legislature, where he was a member from 2008 to 2015, and that Hehr had made unwanted sexually suggestive comments. CBC News has learned that a representative from the Prime Minister's Office spoke with Kristin Raworth today about her tweets. Hehr issued his own statement, stating that the conversation society is having is a "very important one" and encouraged all women who have experienced harassment to come forward. "Throughout my career I have always tried to conduct myself with respect towards others, and I understand the most important thing is how each individual feels," he said in a statement. "I have been informed that an investigation into these allegations has begun and I welcome and respect this process. While this is ongoing, I have resigned from cabinet pending the outcome of the investigation. I do not want to be a distraction to all the good work ‎being done by our government." Hehr will remain in the Liberal caucus as MP for Calgary Centre, and Science Minister Kirsty Duncan will take on the sport and disabilities portfolio. The investigation will be led by Toronto-based employment law firm Rubin Thomlinson. In a Facebook post responding to Hehr's resignation, Raworth said change is needed to make women more comfortable in politics. "I assure you that this isn't just my experience. It's the experience of many people who experience sexual harassment in political work," she said. "Mr. Hehr resigned today, but this can't be the end of the conversation. Because this isn't about him. Or me. We need to continue to support survivors and we need to continue to make politics a place for women." Earlier in the day, during a news conference to wrap up his trip to the World Economic Forum in Davos, Trudeau said he is "unequivocal" in his support for women who come forward with complaints of sexual harassment and assault. Asked about the allegations made against Hehr, he said he would be speaking directly with him and make an announcement before his plane departed for Ottawa. During the news conference, Trudeau also saluted the women who came forward with allegations of sexual misconduct against Ontario Progressive Conservative Leader Patrick Brown, who stepped down overnight while denying any wrongdoing. Trudeau said all allegations are taken "extremely seriously." "My thoughts turn immediately to the women who came forward, knowing how difficult it is, it can be, to salute them for their courage and their leadership," he said. "I certainly hope their example will resonate and that the support of their friends, their families and the community at large remains with them." Trudeau is making his way back to Canada Thursday. Hehr faced criticism in December from a Calgary woman engaged in a class-action lawsuit against the federal government who said he was "very condescending" when she contacted his office regarding an issue related to benefits while on maternity leave. Jennifer McCrea had been fighting on behalf of a group of mothers who say they were denied benefits while on maternity leave and contacted Hehr's office in October 2016 after being encouraged to speak to local Liberal MPs about her case. She asked him pointedly why Ottawa continues to fight sick women — a "loaded question" to which he allegedly replied, "Well, Ms. McCrea, that is the old question, like asking … 'When did you stop beating your wife?'" "I didn't respond [with] anything because my jaw was on the floor," McCrea recalled. Hehr admitted to sometimes being "brash" and "inappropriate" after the complaint. Members of a thalidomide survivor group have also complained about feeling belittled after a meeting with Hehr, and accused him of making offensive statements about their life expectancies. One survivor said Hehr said they didn't have it as bad as they did when they were kids, then went on to say: "Well you don't have it so bad. Everyone in Canada has a sob story.'" The minister denied at least one of their claims and said he has apologized if some of his comments were misinterpreted. Hehr was shuffled into the sport and disabilities portfolios last summer from veterans affairs. In December 2017, the deputy director of operations in the PMO, Claude-Éric Gagné, went on leave while a third party investigated allegations of inappropriate behaviour. In August 2017, Calgary MP Darshan Kang resigned from the Liberal caucus amid allegations of sexual harassment. In May 2016, Nunavut MP and former federal cabinet minister Hunter Tootoo resigned from cabinet and the Liberal caucus amid allegations he had a "consensual but inappropriate" relationship with a female staffer. And before the Liberals took office, Trudeau kicked two of his MPs — Massimo Pacetti and Scott Andrews — out of the caucus over allegations of harassment made by two New Democratic MPs. Conservative Leader Andrew Scheer said all MPs should take allegations seriously and "treat them with the gravity they so rightly deserve." "Sexual harassment and misconduct have no place in Canadian society especially in our political system. We understand how difficult it is to come forward under these circumstances and the courage that is required to make these incidents known," he said. Alberta NDP Premier Rachel Notley issued a statement about the developments, praising the "bravery and resolve" of women who are speaking out. "Generations of people have worked to get us to this point and no longer will they be sidelined and dismissed," she said. "It matters how we treat one another. The changes we make today have to last. Governments at all levels have a duty to lead: with better resources and supports to protect victims, laws that create healthier workplaces, and safe avenues for people to speak out."